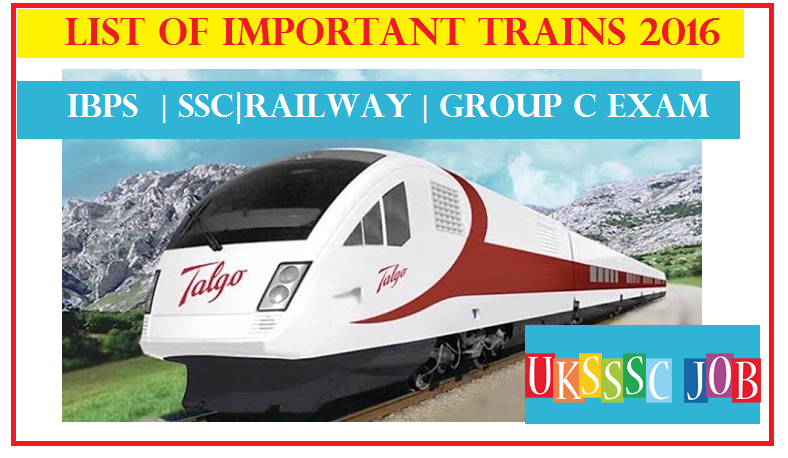 • Talgo train: spanish talgo high speed train arrives in India. Can tun upto 135 Kmph. • Humsafar train: full three-tiered air-conditioning service. • UDAY train: for those travelling in busy route, Overnight double deckers. • Antyodaya train: super fast,For economically backward peoole. As it would have unreserved coaches only. • Sher - E - Punjab train: First train to have CCTV surveillance. • Gatimaan express: 160 km speed in highest in India..runs between Agra and Delhi. • Tiger express: semi luxury train in Madhya Pradesh for tourists exploring kanha national parks and bandhavgarh as they are popular for tiger spotting. • Champran Satyagraha: for cenetary of the movement. • Bharat darsan train: for pilgrim spots like puri, shirdi, Tirupati, char dham etc.